With our vast Certified Pre-owned Mazda inventory at Mazda of Lodi, you can get a pre-owned Mazda with all the benefits of a factory warranty. 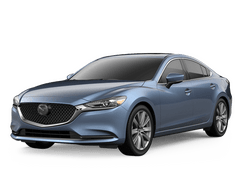 Between Mazda and our dealership, Mazda of Lodi always has special offers that you can take advantage of right here in Lodi. Mazda of Lodi, Your Dealership For New and Used Mazda! Are you hunting for the perfect Mazda? Then you have come to the right place. Mazda of Lodi has all your favorite Mazda models including the Mazda6, Mazda3, CX-3, and CX-5. Our location in Lodi, NJ, puts us in the perfect place to serve all of Northern New Jersey and even New York City. If you are in Garfield, Hackensack, West New York or East Orange, then you need to stop by and see us or browse our inventory online today. We even have an extensive selection of pre-owned vehicles that are perfect for any commuter or family. Of course, we also have a Mazda service center that can take care of all your Mazda service and maintenance needs. Mazda of Lodi is here for you, and we want to help you get into your next vehicle.